A dental crown is a cap that covers an imperfect tooth in order to regain its look and functionality of the real thing. A dental crown is shaped and colored like your teeth, so when properly installed, it looks seamlessly like a member of your natural arch. 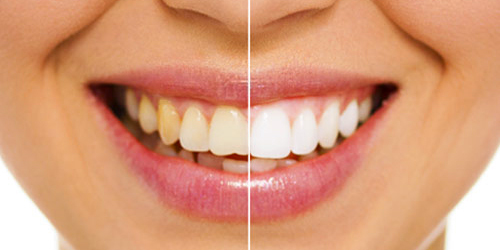 In addition to the above, there are several more cosmetic uses for dental crowns. There are many different types of dental crowns. Choosing which is best for you is based on personal preference, the condition of the tooth to be crowned and other factors. Before a crown is molded, Dr. Jivraj will discuss which material is best for your mouth and concerns. When considering the dental crown treatment, some patients wonder about the difference between a dentist and a prosthodontist. Why would one choose a prosthodontist over your neighborhood dentist who is well equipped to handle dental crown procedures? The short answer to that is a prosthodontist like Dr. Jivraj is specially trained in the field of dental prostheses, giving him a higher level of skill and experience than your average dentist. While a dentist might simply look at a tooth and start the process of dental crowning, Dr. Jivraj will first inspect every aspect of your mouth and surrounding areas. Everything from your gum condition to your root health will be determined, and by doing so will ensure you will receive the correct procedure to overcome whatever ailment you may be experiencing. When it comes to the production of your dental crowns, we only work with the very best laboratories. As an expert prosthodontist, Dr. Jivraj has the training and education to know what qualities and characteristics make for the best laboratory technicians. When working with the Anacapa Dental Art Institute, you will be privileged to receive crowns from dental laboratories around who produce nothing but beautiful and natural looking crowns. In your consultation with Dr. Jivraj all of your options will be discussed as to what your preference might be as well as what your situation dictates. 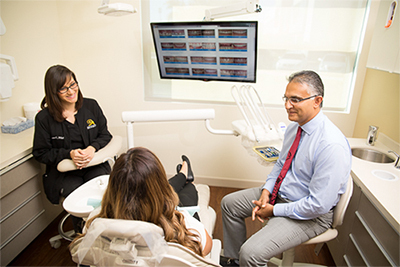 Knowing that you are in the hands of an expert prosthodontist means that whatever decision you both arrive at in this consultation will be the best one available and will be executed with the utmost of care and expertise. Please call us today to schedule your personal consultation.